Vidal Sassoon trained, I have ten years’ cutting and colouring experience. I style modern, easy shapes, ultra-glamorous looks and sharp men’s cuts. I'm a Cornish farmer's daughter, and first discovered hair with my dad’s beef cattle at the age of six. Tickle them behind the ear and they let you plait their forelock. At 20, I had an epiphany on night watch crewing a small sailing boat in the middle of the Atlantic: I knew I wanted to be a hairdresser. 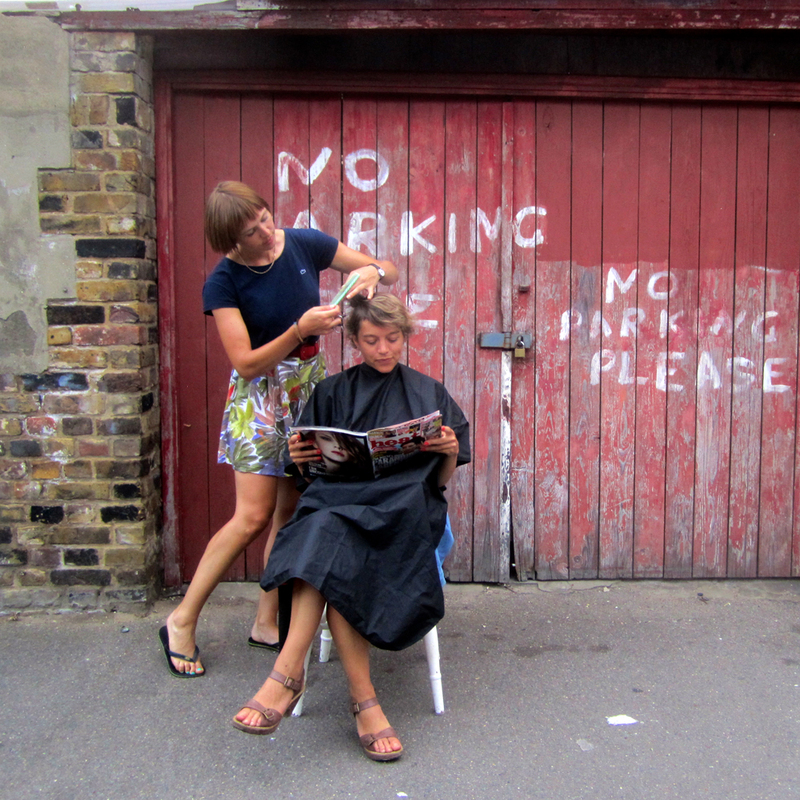 Fourteen years on, I'm lucky enough to be living my dream of hairdressing, which combines my inherent practicality, love of creativity and sense of adventure. Cycling between homes, gives me the creative head-space free from the constraints of a city salon. Your consultation is key to understanding your needs, seeing you in your own environment really helps with the process. Please email if you'd like to know more!